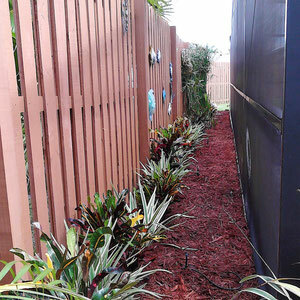 Let Us Help You Transform Your Yard with Colorful Mulch Or Stone! 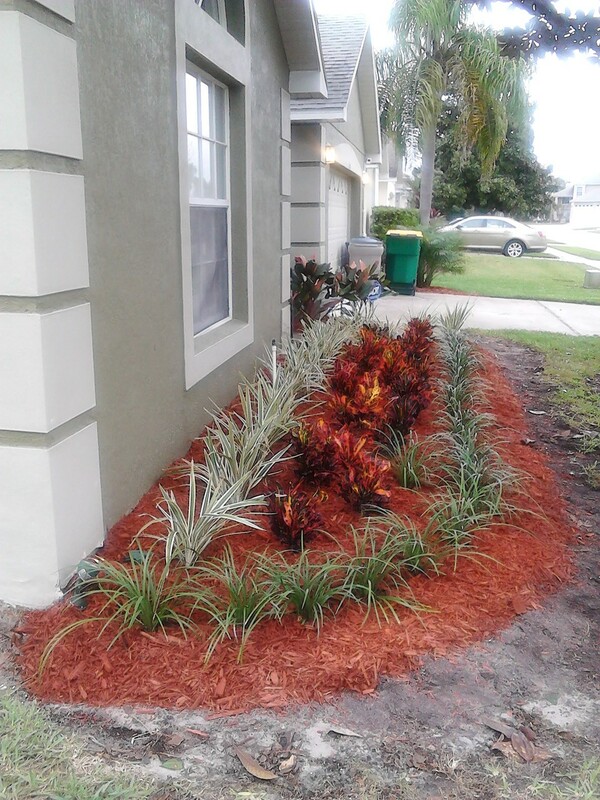 Mulch is used to retain moisture in the soil around plants and to help reduce weed growth, as you will have noticed at the box stores there are many different types to choose from and to be honest it really comes down to personal choice. 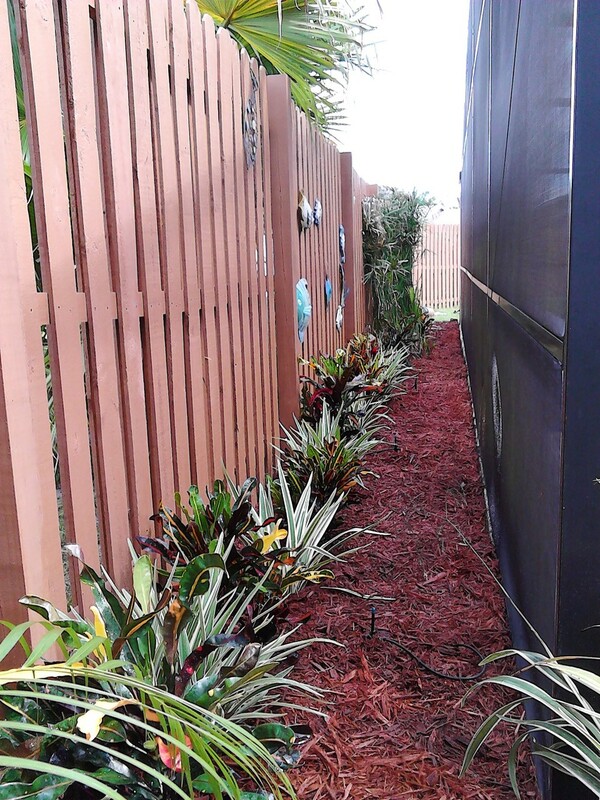 From Ludlow's point of view we prefer the Pine Bark Nugget mulch as it has a more natural look, the nuggets are generally large enough that they do not easily float away or get blown away. 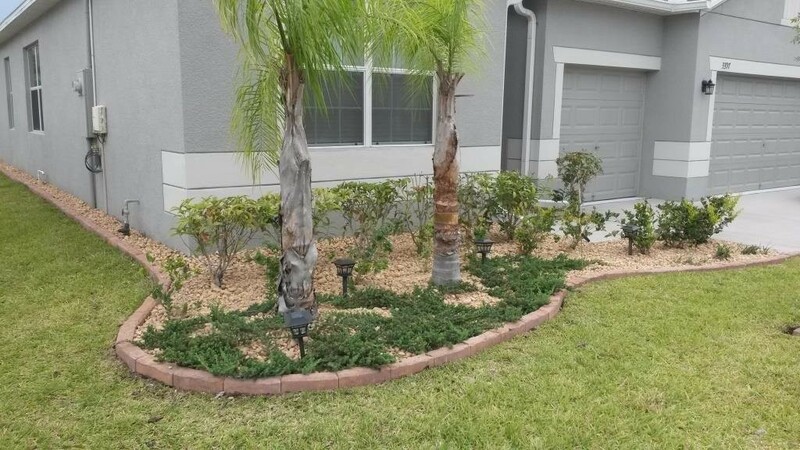 It also helps when it comes to trimming bushes and trying to rake up the clippings, smaller mulch can get raked up with the clippings and at least with the larger size the removal rate will be reduced. 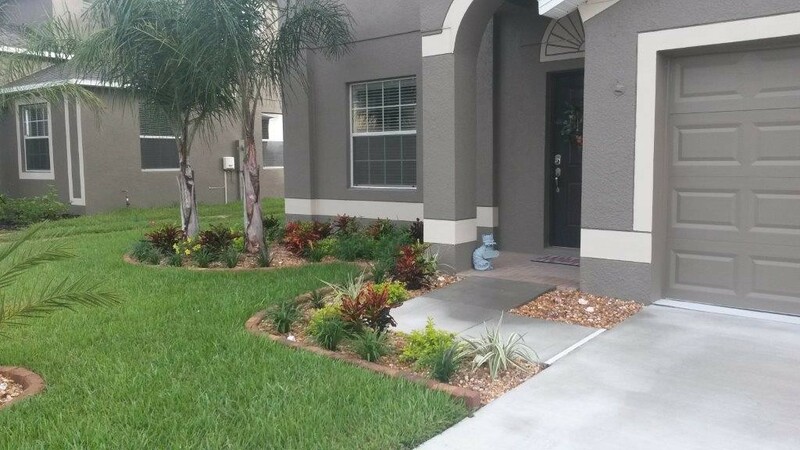 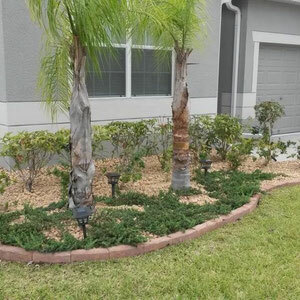 Mulch will fade quickly especially given our intense sun here in Central Florida, so mulch is generally freshened up once or twice a year. 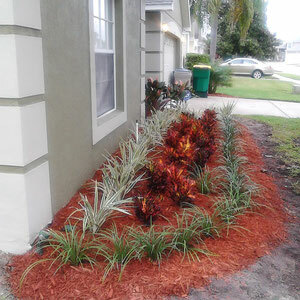 Other types of mulch available include Red Mulch, Cypress Mulch and Rubber Mulch. 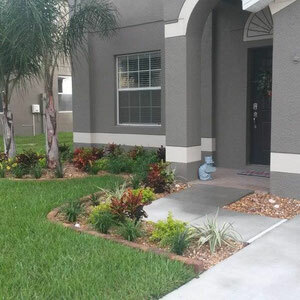 Stone and Rock also work in a similar way and the benefit in using rock is that once it is down it only needs topping up occasionally instead of once or twice a year like mulch, the initial cost is more but in the long term it works out more economical.